It's nearing the end of the month...already...time flies! 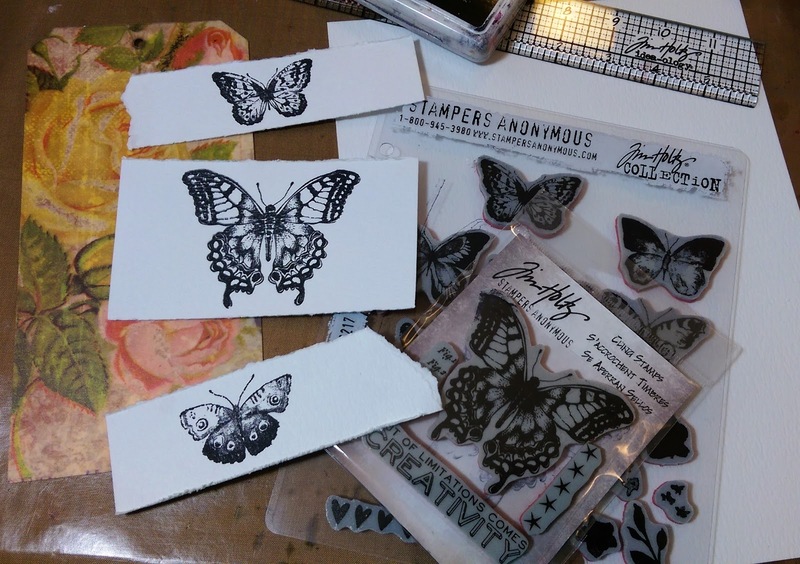 So here is my take on Tim's July tag for 12 Tags of 2015. I am loving all the entries too...so many different takes for endless inspiration. Since I let the fourth go by, I decided to go with other images. I thought about the new City Scapes, but that had already been done. I thought about flowers...again done. Then I thought about Crazy Birds, but I couldn't make them fit right, so I went with butterflies. 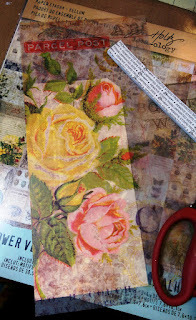 I love the roses on the Wallflower Paper, and decided to use the Vellum version as my tag background. It was hard to cover it up. 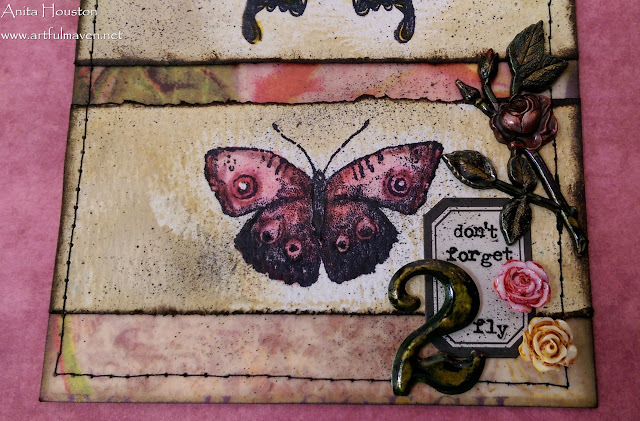 I used two stamp sets for the butterflies. 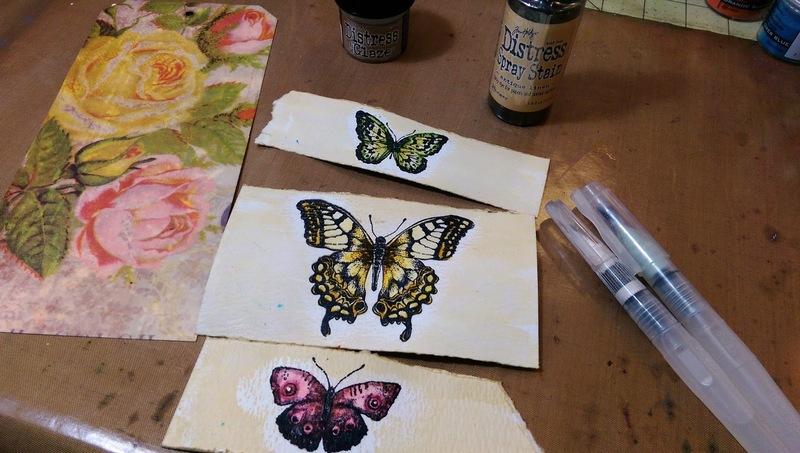 I love how easy Distress Markers make watercoloring! 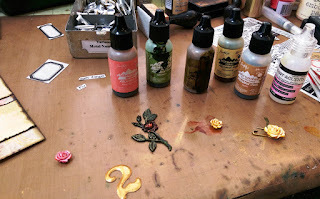 I colored the Rosettes and metal pieces with Alcohol Ink. I love the transformation of the roses with the leaves. 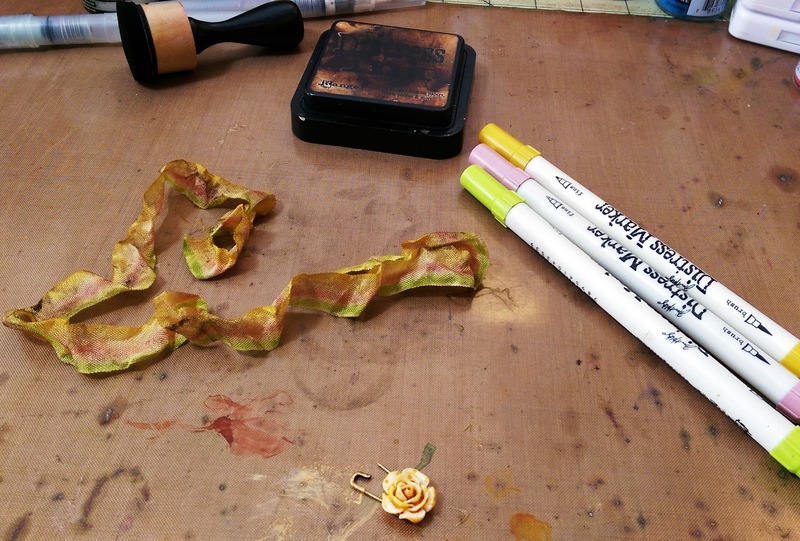 I also adhered the larger Rosette to the Hoop Pin with Glossy Accents. It seems very sturdy. Although I loved the way the ribbon came out with the Distress Markers, I didn't think it was dark enough for the tag, so I misted over it with Peeled Paint Distress Spray, and the striped pattern still can be seen...love that! Your tag is a beauty, Anita. I like the text box you did! Wonderful colors and great idea those butterflies. Enjoy your day! Anita, your take on Tim's tag is so gorgeously feminine. Love the pinks and browns. I never knew Tim's Wallflower Roses would be so beautiful barely peaking through from the background. 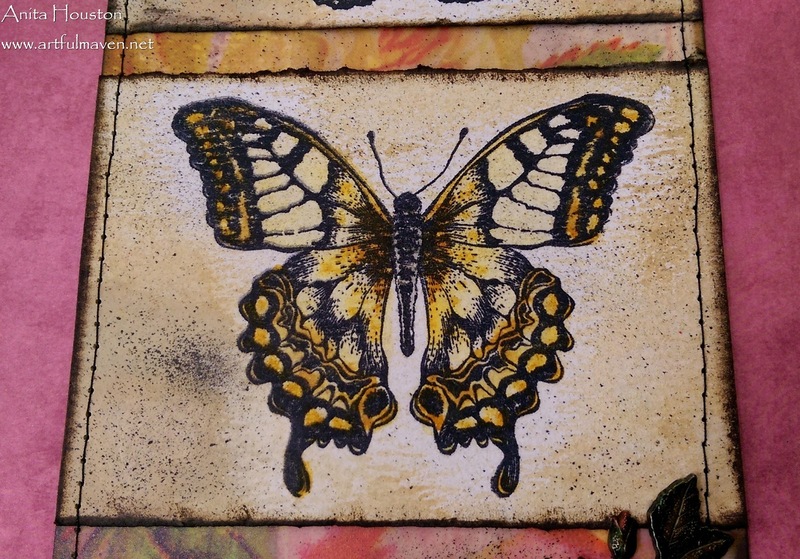 Your butterflies are beautiful and love the ink blending and texture surrounding them. Your sentiment is 2 inspiring. Love it all and had to pin it! Very inspiring! Beautifully done Anita! I am just finishing mine off today and I too was looking for a different angle for the images! I love that you went with all the butterflies! They are super grungy looking. Off to PIN! Gorgeous take on Tim's tag, Anita! 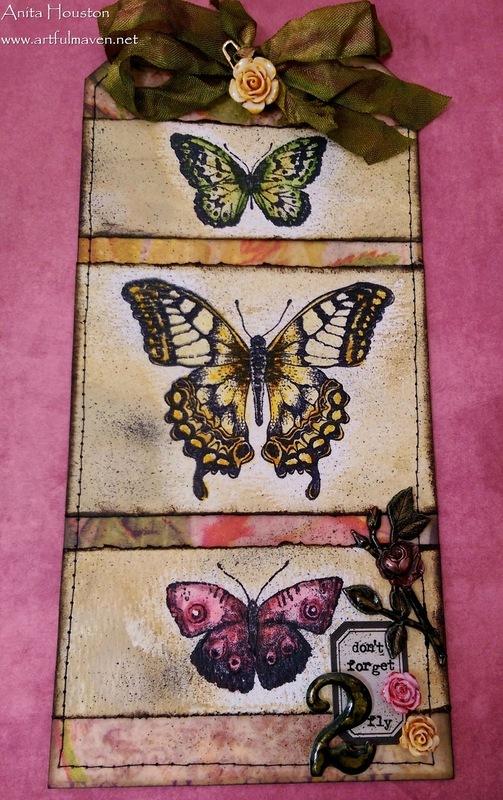 I love those butterflies and what great watercoloring! Happy Weekend! A fantastic tag with great details. Very beautiful, how I love your butterfly's. This is Beautiful!!! Love it!!! Ahhhhhhhhhhhhhhhhhh - just ENCHANTINGLY BEAUTIFUL. So creative Anita. LOVE LOVE LOVE it. j. 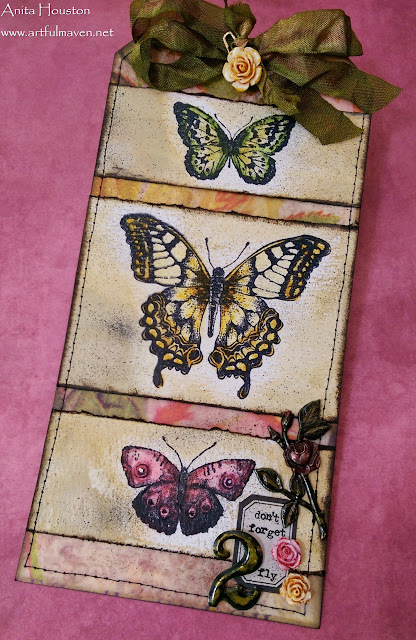 Love your flowery butterfly take on the July tag - it's so pretty. The ribbon is gorgeous! Thanks for sharing your process, this is absolutely beautiful! Beautiful tag! 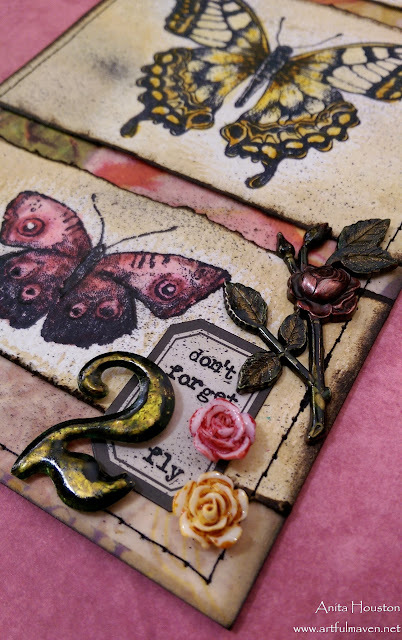 I love the vellum paper in the background - it add touches of soft and pretty color. Thanks for sharing! 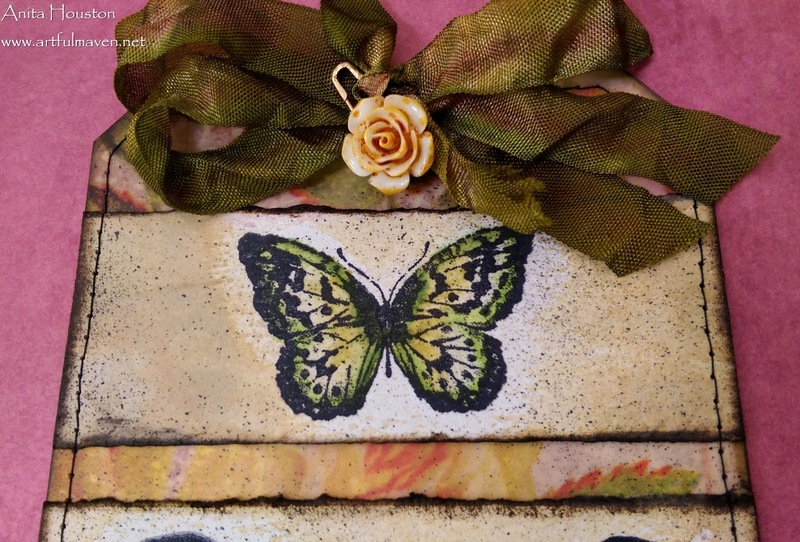 Beautiful take on Tim's tag Anita, the butterflies are gorgeous and love the sentiment! What an absolutely stunning tag! I love the butterflies & the vellum background is perfect! I am really into these butterflies! What a great way to interpret this theme! COOLNESS!